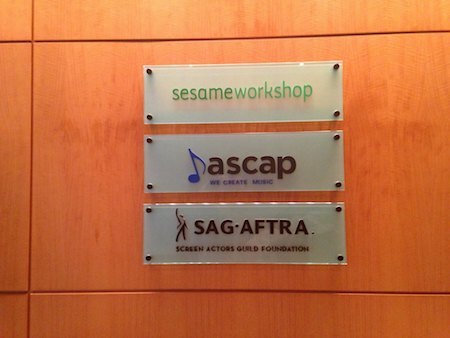 We went to Sesame Street! North Star Angel, Dory and Melody went with us to the Big Apple last spring to pay a visit to these creative folks who teach our children with respect, compassion and joy. This year a new muppet was introduced, Julia, who is on the autism spectrum. I think it is wonderful they have decided to embrace the children I serve, and to teach the importance of diversity to a brand new generation of children. On May 20th, we went to the Ridgefield Film Festival, in what was perhaps the largest gathering to date of North Star dogs and families. 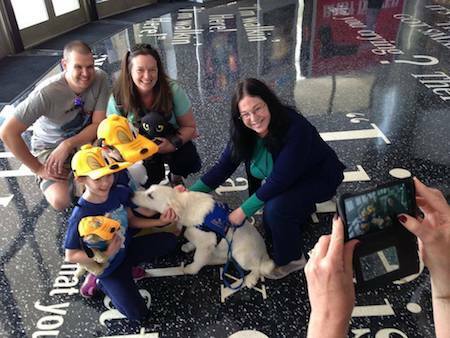 Angel was a bit better behaved on the red carpet this time around; Buddy, Wally and Nardi, all older and definitely wiser, set a good example for her! Recently, we received a treat from a musical talent and familiar artist, Daryl Hall of the duo Daryl Hall & John Oates, who played for a packed and rocking crowd at Boston Garden! Daryl Hall and I have a mutual friend, Sara Allen, who I met while filming “The Buddy System”, as she serves as Executive Producer of this soon to be released film; by sheer coincidence, musician Robert Fripp is a friend of Daryl's, and a few years back he penned the song, "North Star" and Daryl later recorded a beautiful version of it. Sara thought it would be a perfect fit for the film and so made a request to use it there; both Robert Fripp and Daryl Hall agreed and donated the recording for use in the non-profit production of “The Buddy System”. Dogs can also help those on the spectrum to cope with the world we share in ways we're just beginning to discover, such as alerting to anxiety and seeking to calm and comfort. Dogs work in a myriad of still mysterious ways, but to my mind the most important effect of an autism assistance dog is how specially bred, socialized and partnered dogs can change the culture of any room they enter for the child they serve. They are versatile therapeutic tools who can simultaneously be a golden bridge to inviting others to communicate with a child, as well as to help the child to structure the conversation. 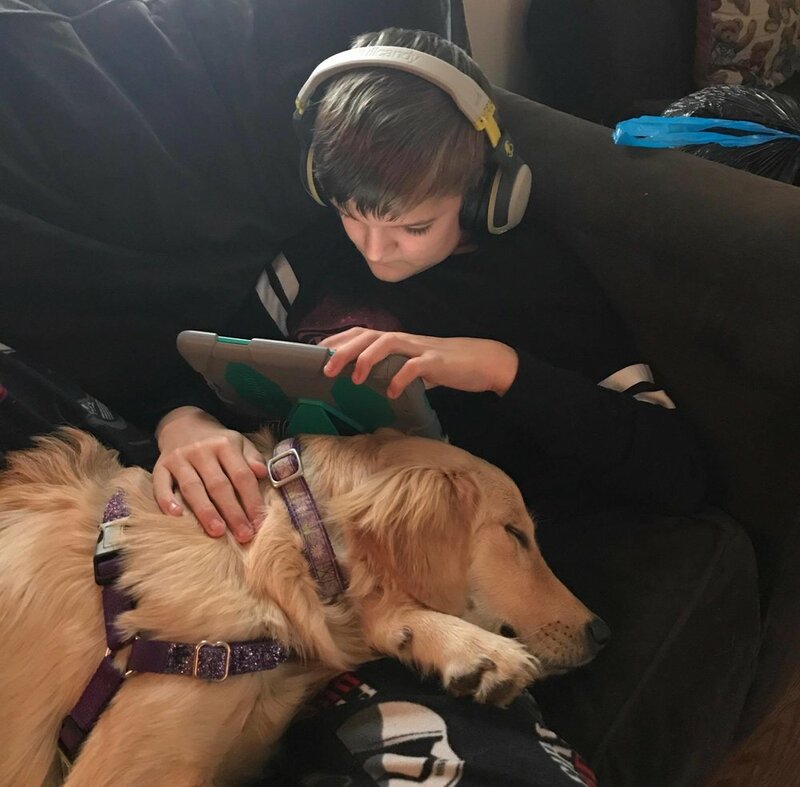 Relieving stress without medication is a great benefit of an autism assistance dog placement, but even better is not feeling stress in the first place. My dogs have taught me how wonderful life is when you can let the insignificant go, as dogs never hold onto any ego fueled trauma or worry. This is a skill we all could use more of in our lives, whether on the spectrum or not; I think that's why this concept of autism assistance dogs, along with this film, really resonates. Buddy is a symbol and a system, but he is also a simple dog; something you call a good friend when you're having a good time. Remembering the purity of simple friendship in a world run a muck with hate, bigotry and conceit is refreshing. It's also a powerful reminder about what is most important in life.